The New Eleaf Aster RT Kit ! Home / ASTER RT With Melo RT 22 / Eleaf Aster / Eleaf Aster RT / Eleaf Aster RT Kit / Vape / Vape Kit / The New Eleaf Aster RT Kit ! The new Eleaf Aster RT Kit is a funky kit combo for any vaping newbie or busy vaper on the go. Its innovative design is kept small in size by allowing the tank atomizer to be installed within the chassis and thus, neatly hidden out of sight. Its otherwise angular design is visually appealing and comes in a selection of five different colours including a bold green finish that will definitely stand out in the crowd. As far as kit combos go, the Eleaf Aster RT is a great choice for vapers who are looking to push a little more power than usual but who do not want the hassle of using complex tanks or who prefer not to operate mods that require external batteries. Which Color Of The Lyche Tank You Like Best ? 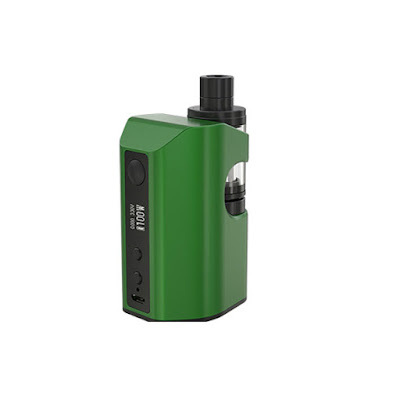 The Pico Dual With MELO III Mini In Stock !